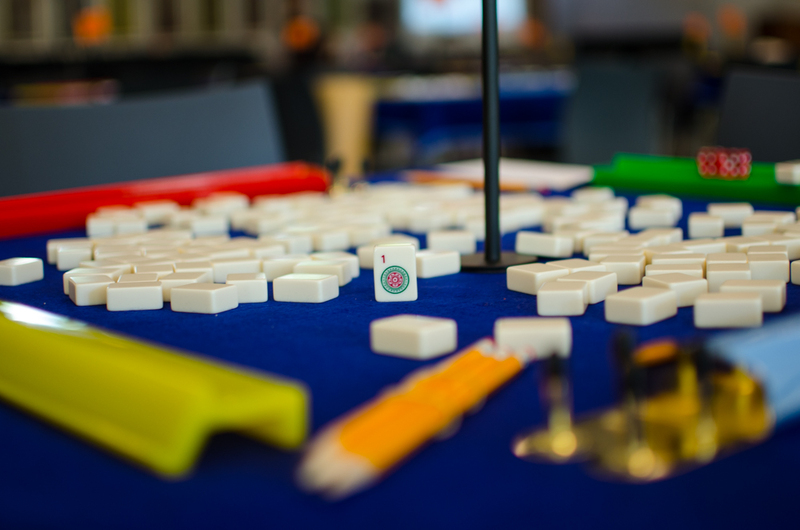 The Lois Goldblatt Mah Jongg Tournament is one of the largest and most popular mah jongg tournaments in North Texas. Last year’s tournament welcomed over 100 players and raised over $20,000 for The Ryan Goldblatt Foundation (RGF). The tournament consists of 4 rounds of mah jongg with a delicious never-ending snack/drink bar provided for all of the players. There is a popular raffle with prizes including complimentary hotel stays at Dallas’ finest hotels and dinners at Dallas’ finest restaurants. Last year, one lucky winner won an electronic mah jongg table (a prize valued at $2,000)!! In addition to all of the amazing raffle prizes that are available to win, this tournament gives away prizes for the top 10 winners, prizes for the top round winners and a variety of door prizes just for registering and participating in the tournament. With the proceeds from the 2017 tournament, the RGF partnered with Dallas Children’s Theater and helped bring theater to the kids at Children’s Medical Center. Since not all of the kids dealing with cancer are able to go out and enjoy the experience of attending the theater, The RGF made it possible to bring the theater to the kids! The Dallas Children’s Theater performed 5 plays at Children’s Medical Center for ALL of the kids at the hospital to enjoy. A few of the plays that were performed this year were Junie B. Jones, Mufaro’s Beautiful Daughters, and Blue. The kids loved it! The plays were acted out live and some of the children came out of their rooms to watch it. Others could turn on their TV in their hospital room and watch the play on TV. The actors from the play stayed after the performance to get their pictures taken with any of the kids and signed autographs. It’s been such a wonderful experience for everyone involved. Especially the kids. Dallas Children’s Theater will be performing at least four more plays at the hospital this season. These kids are receiving an experience of a lifetime that most would never have the opportunity of experiencing. There’s nothing better or more rewarding than to see these children smile and laugh and not think about cancer if only for an hour. The 7th Annual tournament will be taking place on October 7, 2018 12:30PM at the Addison Conference Centre located in Addison, Texas. This is a beautiful venue with a huge carpeted ballroom, ample parking, and a gorgeous view of Addison Circle Park. So PLEASE mark your calendars for October 7th and come out and play mah jongg, have fun with your friends, win some prizes, and best of all, help make a difference in the lives of so many sick children.